Delivered in 1976 and built by David Curwen of Devizes, Wiltshire. 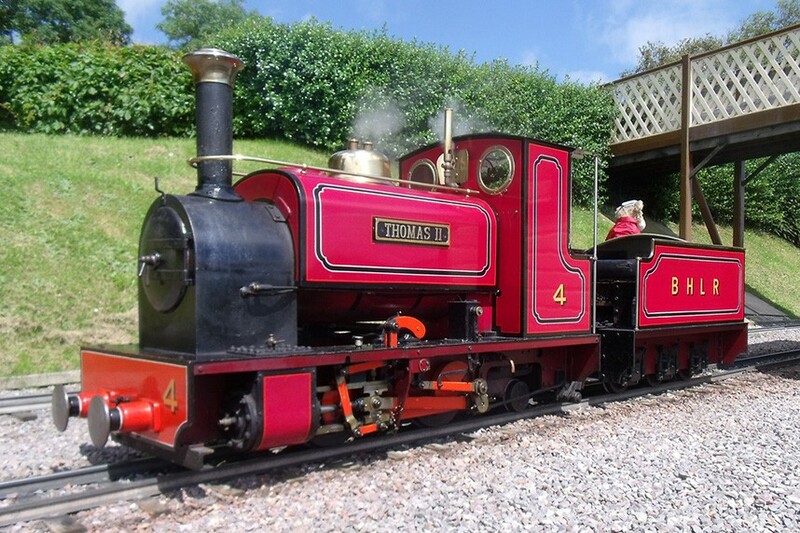 An 0-4-2 tender engine, the design is based loosely on the famous Douglas locomotive which operates on the Talyllyn 2ft 3in gauge railway in North Wales. 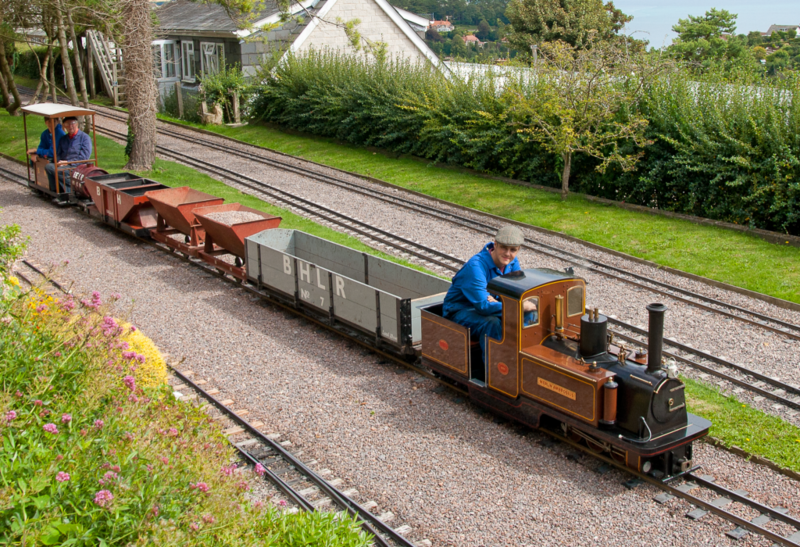 The loco has 9 inch driving wheels with two outside cylinders, a bore of 3½ inches and a stroke of 4 inches, with Walschaerts valve gear. The boiler has a diameter of 10¾ inches and it works at a steam pressure of 100lb per square inch. “Dickie” was named by the comedian Richard Murdoch and having been re-boilered in 1992, has seen continuous service for the past 30 years. Built in 1979 by Roger Marsh of Coventry. 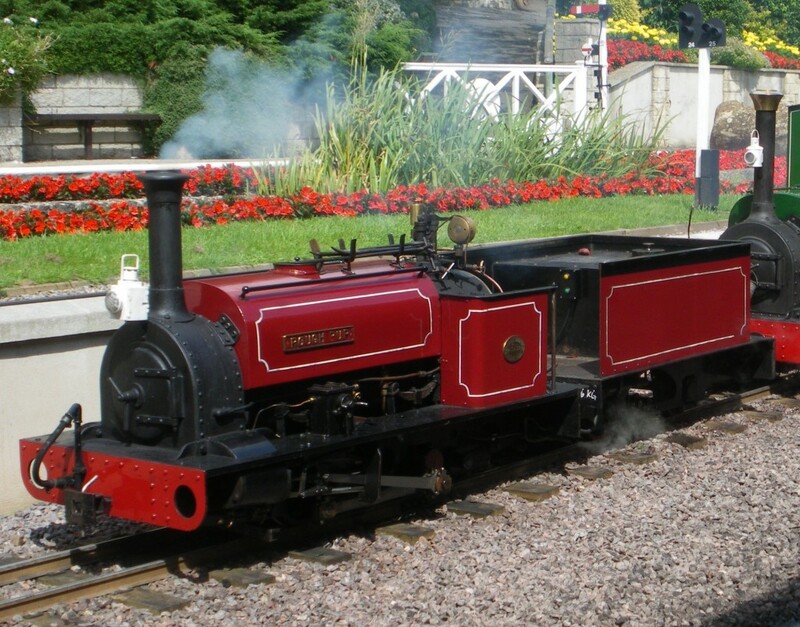 An 0-4-2 ST plus tender locomotive, following the general appearance of Quarry Hunslet loco’s with 3½ inch bore by 4¼ inch stroke cylinders, 9½ inch driving wheels, Walschaerts valve gear and a 10¾ inch diameter boiler. 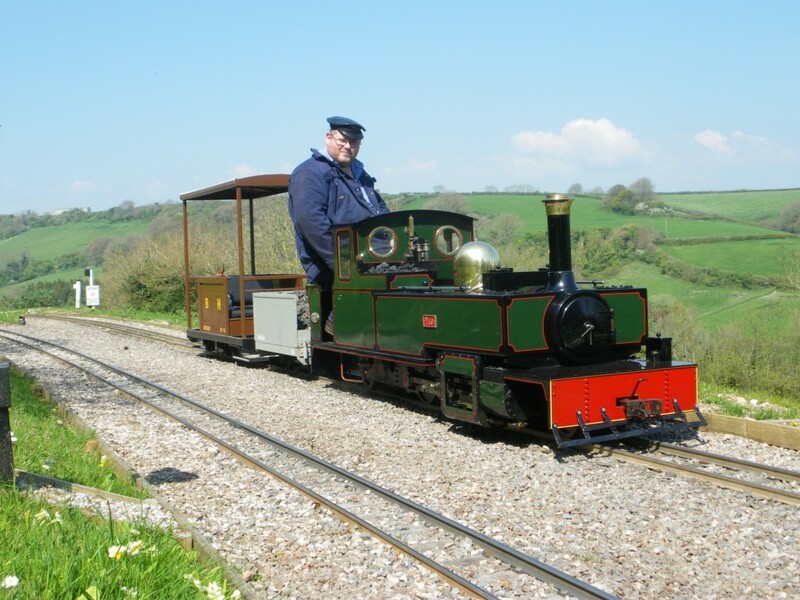 “Thomas II” was named by the well-known West Country band “The Wurzels” (of which Thomas Banner is a member!) on one of the busiest days the railway has ever seen. The loco’ became the prototype of what has now become a class of engine popular with 7¼ inch gauge railway operators, ensuring many further examples being built since 1979. 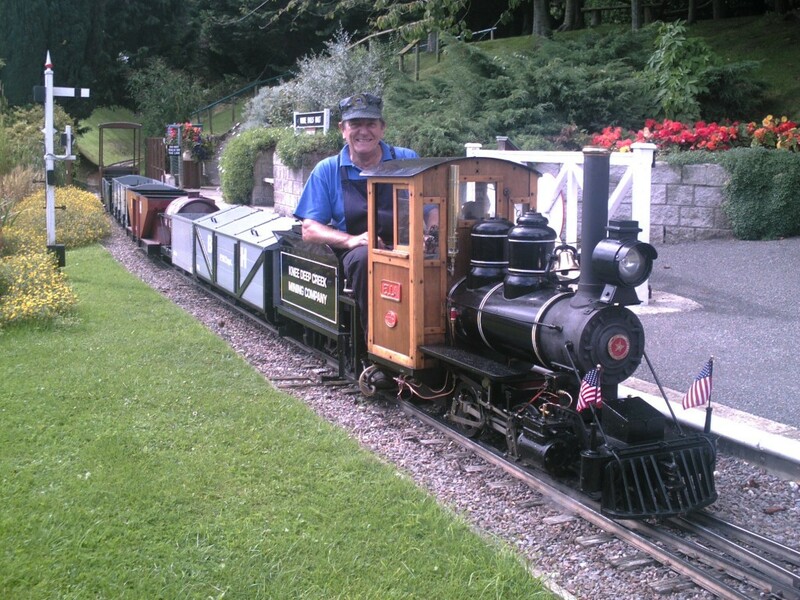 On the occasion of the 2009 Garden Open Day for Charity, July 19th, Paul Atterbury of Antiques Roadshow fame re-dedicated Thomas to the railway. 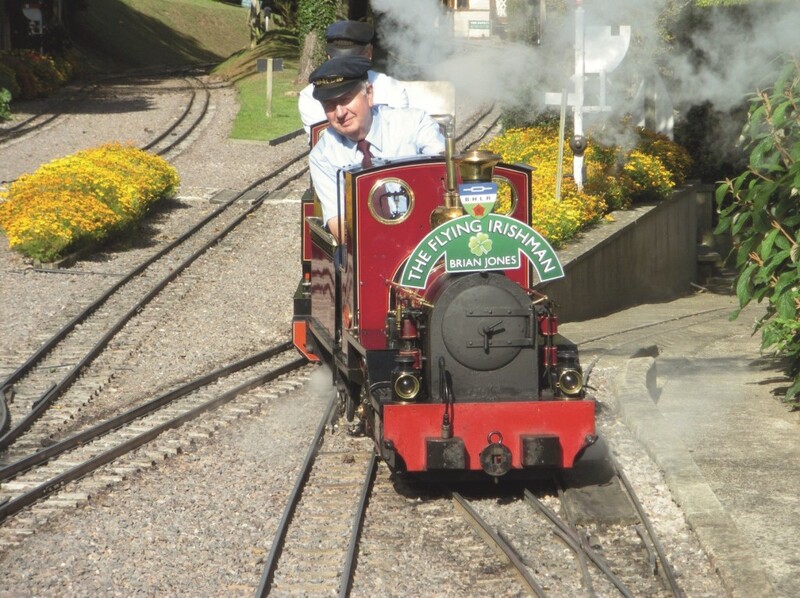 During the winter of 2008/2009 Thomas had a major refit and a fresh coat of paint – well deserved after 30 years’ service. Built by John Clarke of Denbigh, date unknown. 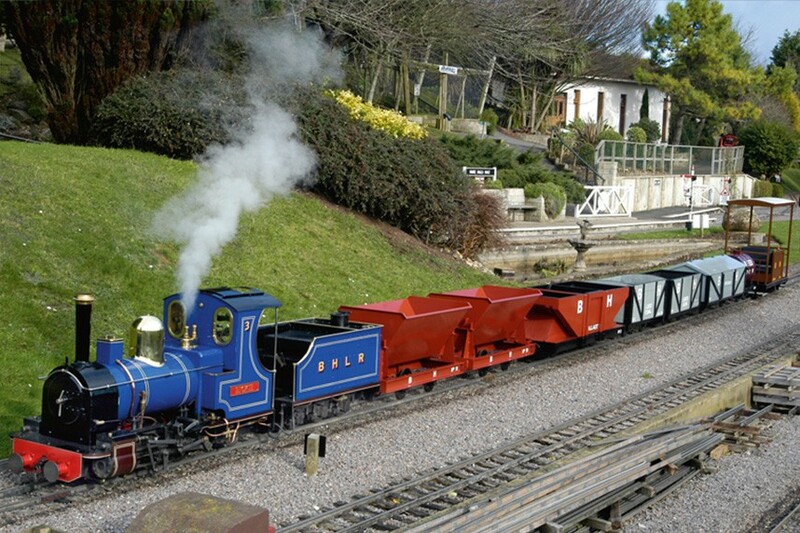 Rebuilt by TMA Engineering, Birmingham in 1983 and delivered to Pecorama the same year. 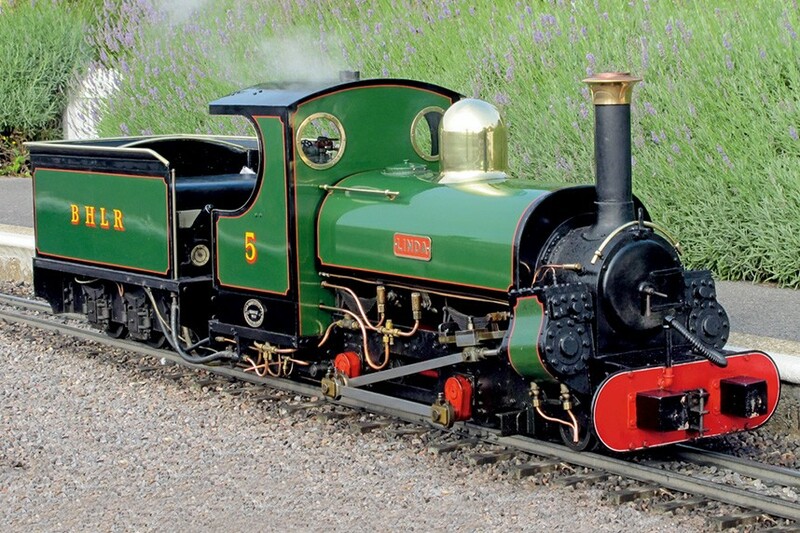 A 2-4-0 ST plus tender locomotive which started life as a scale model of the Ffestiniog Railway’s Linda, with 3¾ inch bore by 4 inch stroke cylinders, inside Stephensons valve gears 8 inch diameter driving wheels and 10 inch diameter boiler. 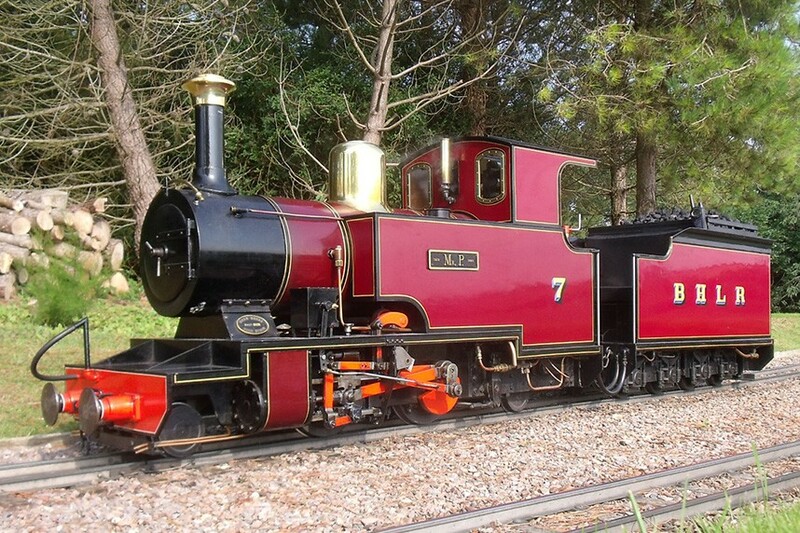 The prototype of this engine was built as an 0-4-0 ST for use on Lord Penryn’s extensive slate quarry railway system in North Wales and was named after one of his daughters. 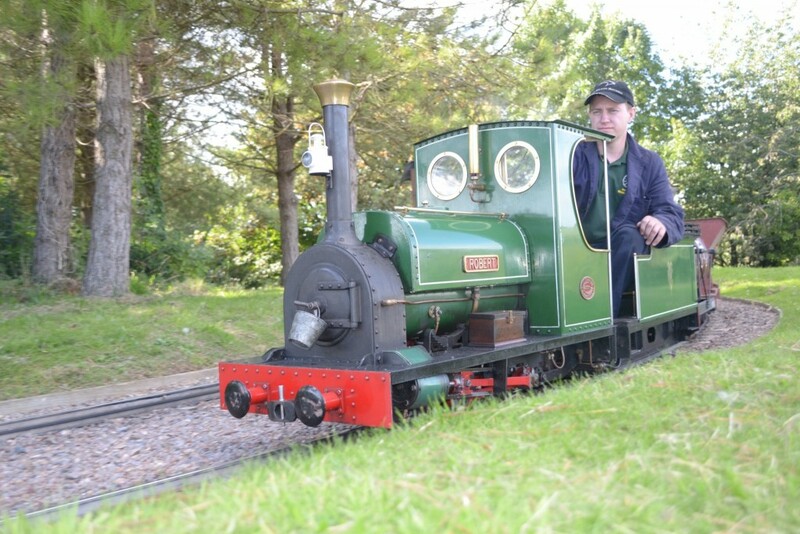 Built by Western Narrow Gauge and delivered in 2004, “Otter” is privately owned by one of the drivers and is permanently based on the BHLR. 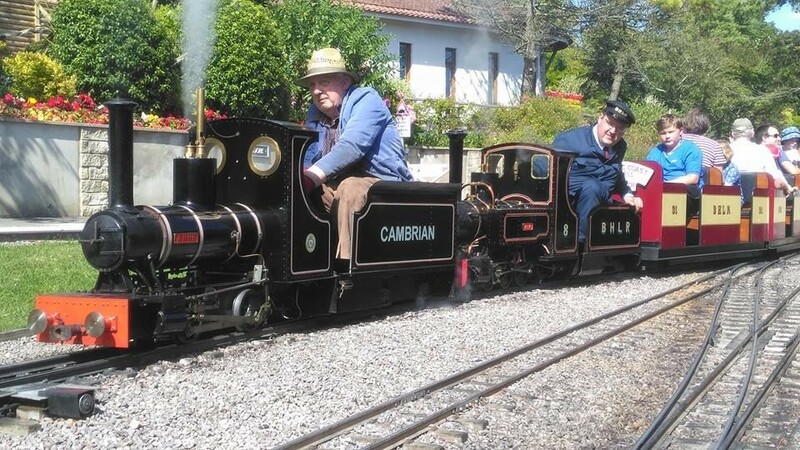 The 2-4-2 tender loco with 3¼ by 4½ inch cylinders and a 12 inch diameter boiler is similar mechanically to the successful “Mr P” design but with a higher cab plus tender cab which gives the driver full weather protection. The loco is finished in West Midlands peacock blue livery. 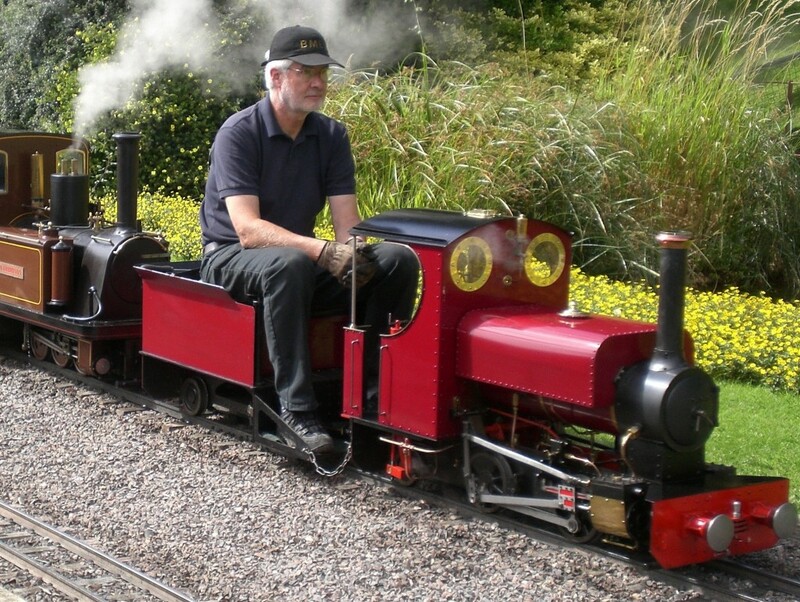 0-6-0T + 4 wheel Tender (Engerth arrangement). Built in 1999 by John Denslow / B.H.L.R. 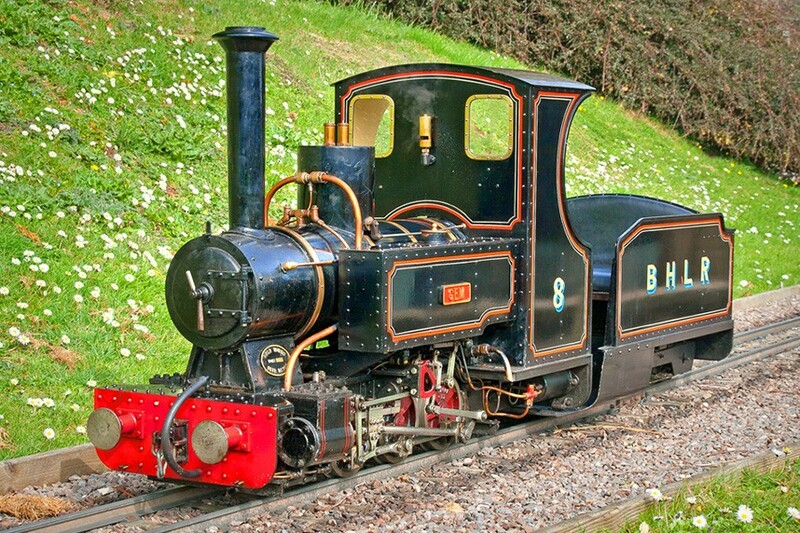 This is a heavily modified ‘Romulus’ design with cylinders 2¼ inch bore x 3 5/16in stroke, 6 ⅝ inch diameter driving wheels, Baker valve gear, 8 inch O/D boiler barrel, 52 sq.inch. grate area. Named ‘Gem’ by local Radio Gemini presenter Tim Schofield, No. 8 is turned out in Lancashire & Yorkshire Railway lined black livery. 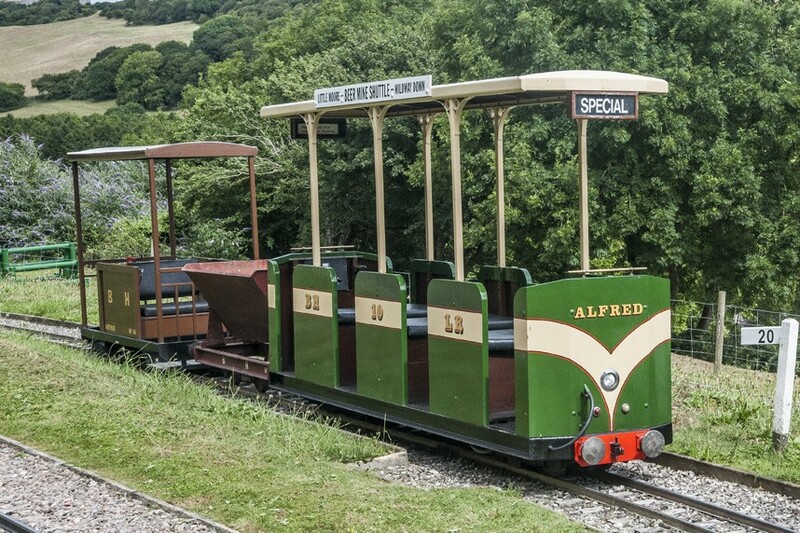 Alfred is a tram style electric locomotive which is powered by two pairs of on board traction batteries driving four powerful motors. 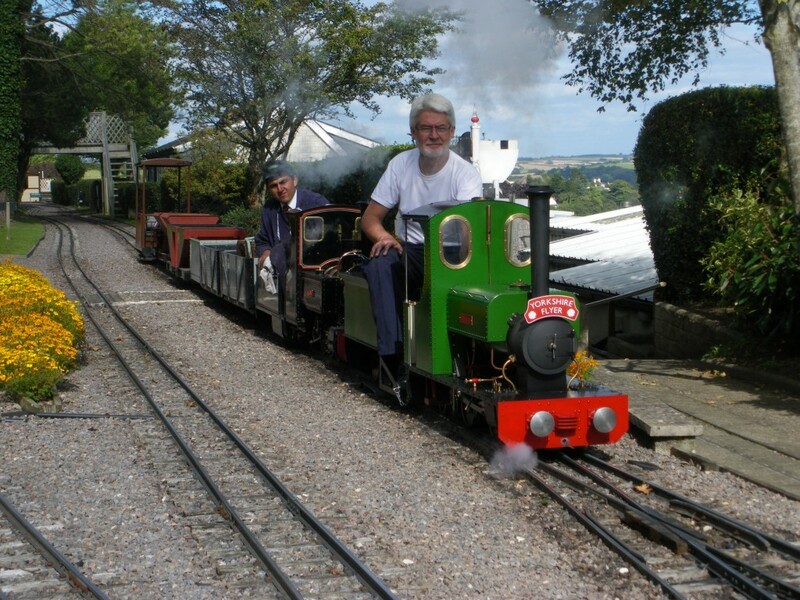 Built in 2003 by John Macdougall and his assistant Carolyn Nation, Alfred can occasionally be seen operating the new “Beer Mine Shuttle” down the steeply graded branch line to Wildway Down Station, usually hauling one or two trailers. 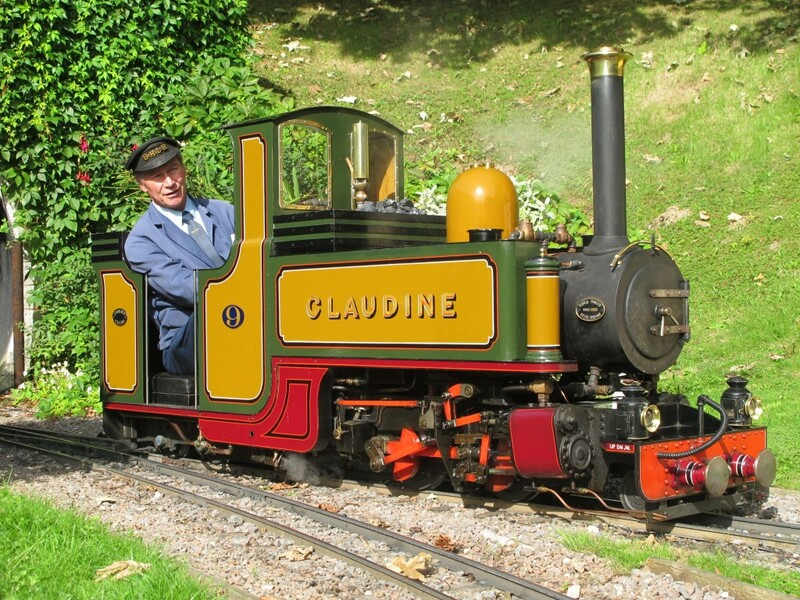 Alfred was officially named by Alan Gardiner, Managing Director of the nearby Seaton Tramway, in memory of Carolyn’s grandfather to whom she attributes her fascination with all things mechanical. 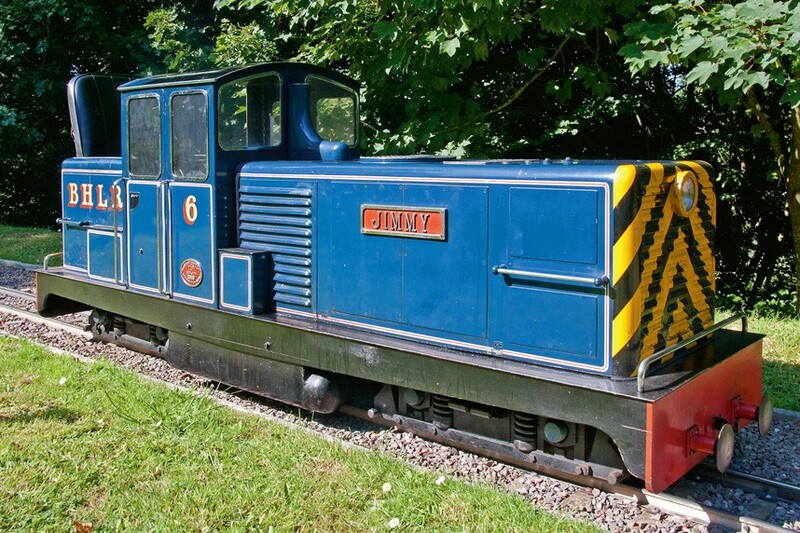 Built in 1986 by Severn Lamb, Stratford-On-Avon and named that year by comedian Jimmy Cricket, Jimmy is a bogie diesel hydraulic locomotive equipped with a Kubota 2 cylinder engine. Originally intended for use as a standby loco’ during quiet periods of operation, this engine is increasingly popular with the younger generation (some think it resembles “Mavis” from the Reverend W. Awdry’s “Thomas the Tank Engine” storybooks) and can often be seen hauling specials on the line. 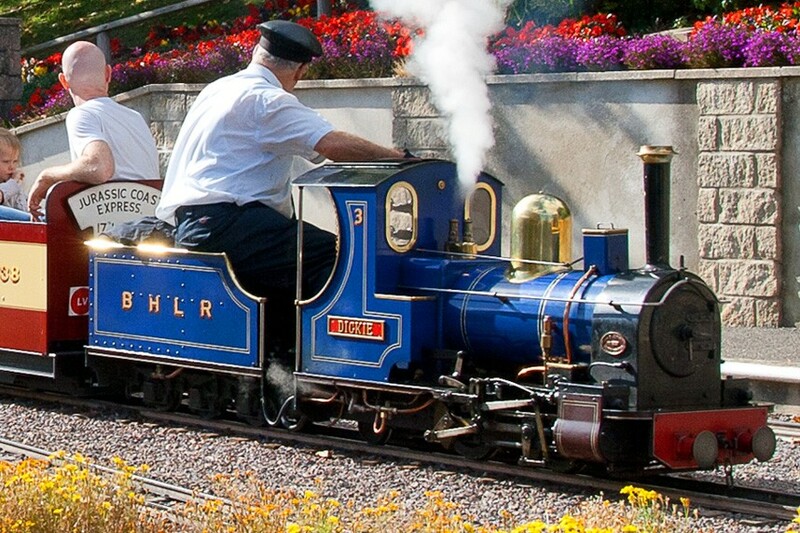 It is also extensively used for winter works trains, being quicker to “fire up” than a steam loco! A major overhaul was given to Jimmy in 2016 – 30 years after being built. 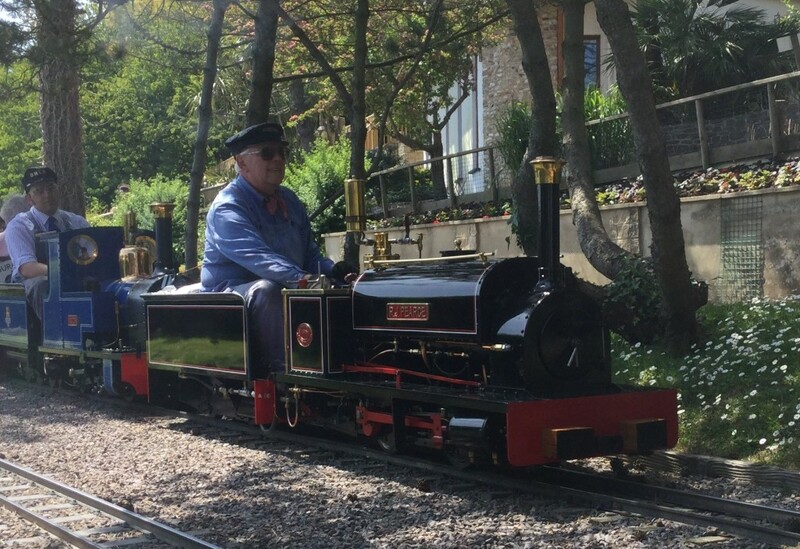 Jimmy is now running again with a replacement engine that was donated by an enthusiast. With the addition on Ben, our diesel locomotive, this means that for the first time in the railway’s 40 year history, 2 internal combustion locos can run alongside the fleet of steam locos. 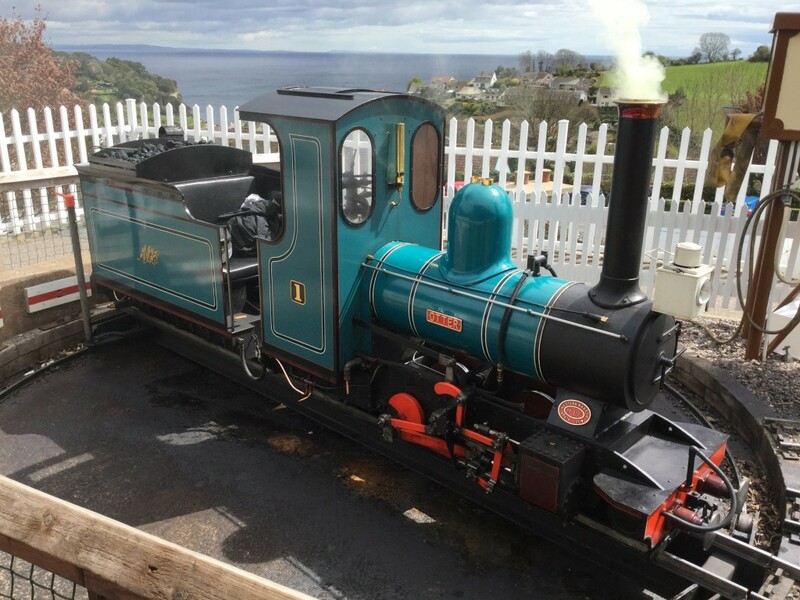 Ben was designed and constructed by Chief Mechanical Engineer John Macdougall and named by BBC News correspondent Ben Ando during the railway’s 40th Anniversary Celebration in August 2015. Powered by an 998cc petrol engine from a Mini, Ben is quieter and more comfortable to operate than our ageing ‘Jimmy’ and offers some protection for the drivers in bad weather. The chassis is fabricated from 3″ x 1½” channel and bogies are all 12mm plate bolted construction to aid removal of the gearboxes if necessary. 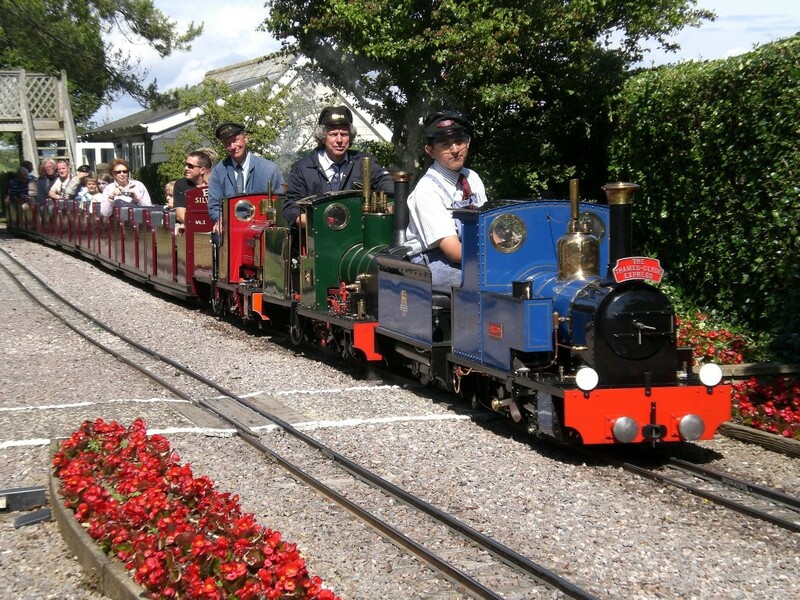 Throughout the year we invite numerous guest locomotives to run on the railway. 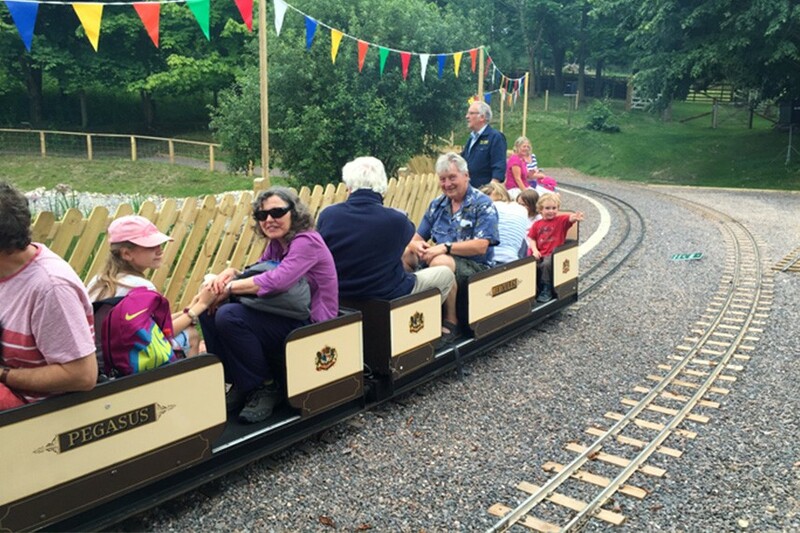 Often this coincides with Special Events, such as the annual PECO Loco Week and August Bank Holiday Railway Gala. These locomotives come in all shapes and sizes and from up and down the country. The first coaches to run on the BHLR were supplied some 36 years ago by Cromar White Railways. There were ten of these two compartment sit-in type bogies coaches which, although well engineered, were rather narrow. Newer vehicles have now superseded all of these. 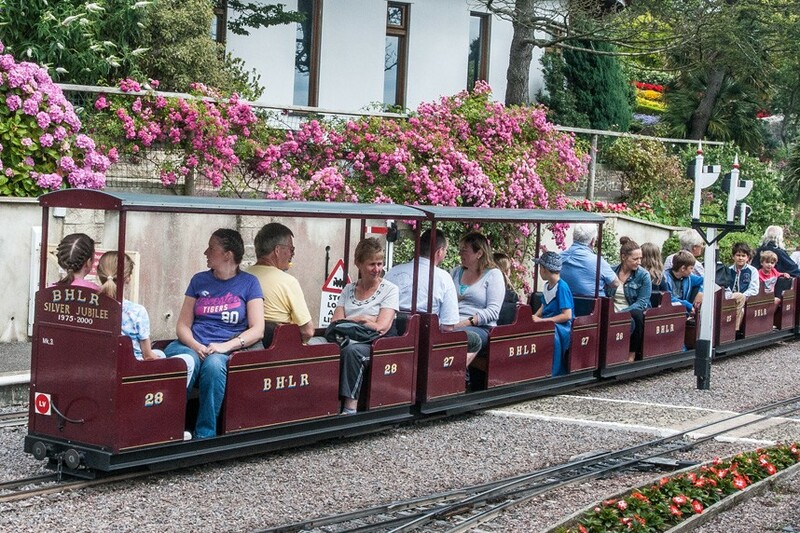 A second set of carriages, built in the railway workshops using bogies supplied by John Milner, is called the “Beer Belle”. These coaches are similar in design to the original Cromar White vehicles but are somewhat wider and more substantially built. 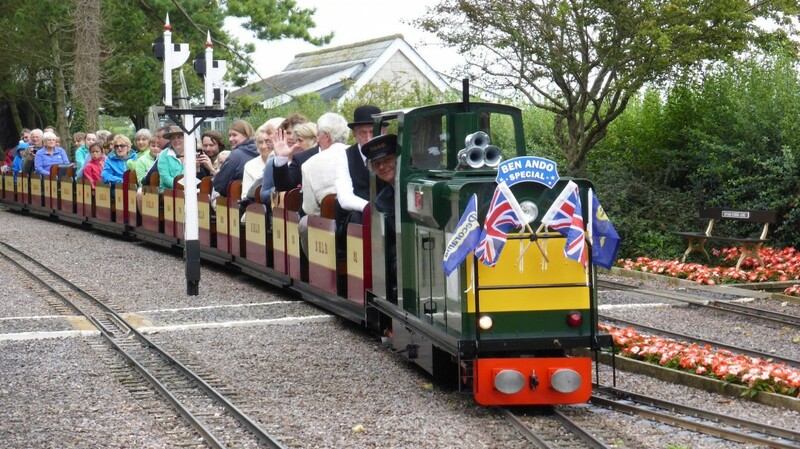 They are turned out in Full Pullman livery and bear the names of coaches which once ran in the famous “Golden Arrow” Pullman train, including “Orion”, which is now preserved and open to visitors at Pecorama. 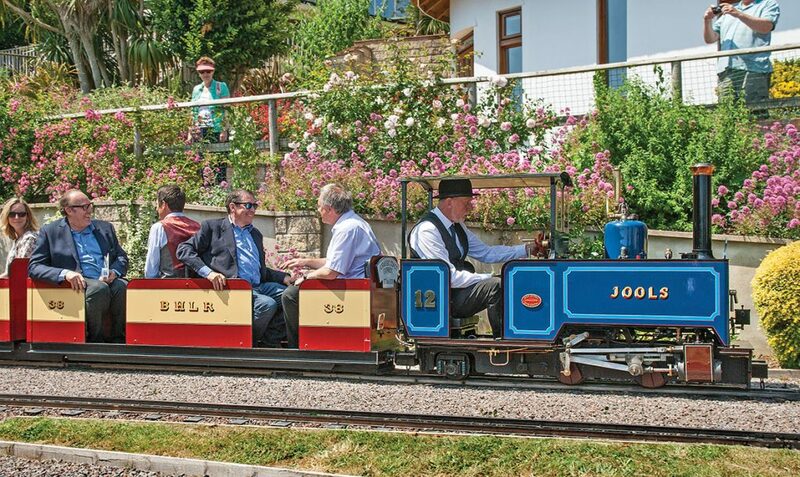 This set is semi-retired but three of the eight coaches occasionally appear in use as the Beer mini shuttle train. The “Silver Jubilee Limited” is the name given to a newer set of coaches that entered service in the year 2000, to commemorate 25 years of operation on the BHLR. Uniquely, at the time, this rake of eight is made up of two sets of four permanently articulated coaches, or ”double quad arts” as they are known. 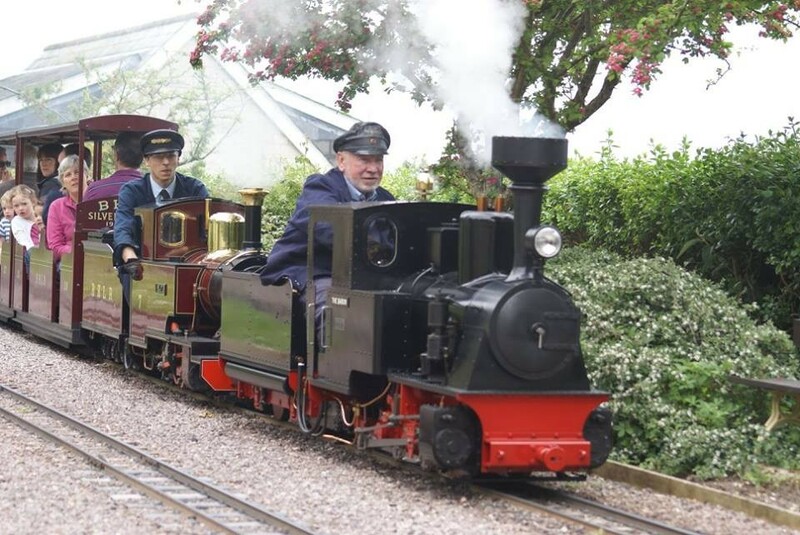 They were designed and built by BHLR Chief Engineer John Macdougall and considered by many to be the smoothest riding minimum gauge railway coaches in the country. They are turned out in Crimson Lake livery with gold leaf lettering. Canopies have now been added to half of these carriages, to provide shelter in wet weather. Completed in 2011 in the BHLR workshops, the newest set of coaches on the line are mechanically similar to the ”Silver Jubilee” set but with different body styling. This new set is made up of two, four car permanently articulated units with fail-safe vacuum brakes on all wheels and is finished in 1950’s British Railways eye catching carmine and cream livery. The signwriting, which is all applied in traditional style, employs genuine gold leaf lettering. Known as Jurassic Coast Express, these coaches were officially named by the Rt. Hn. Ann Widdecombe on Peco Open Garden Day , Sunday 17th July 2011. 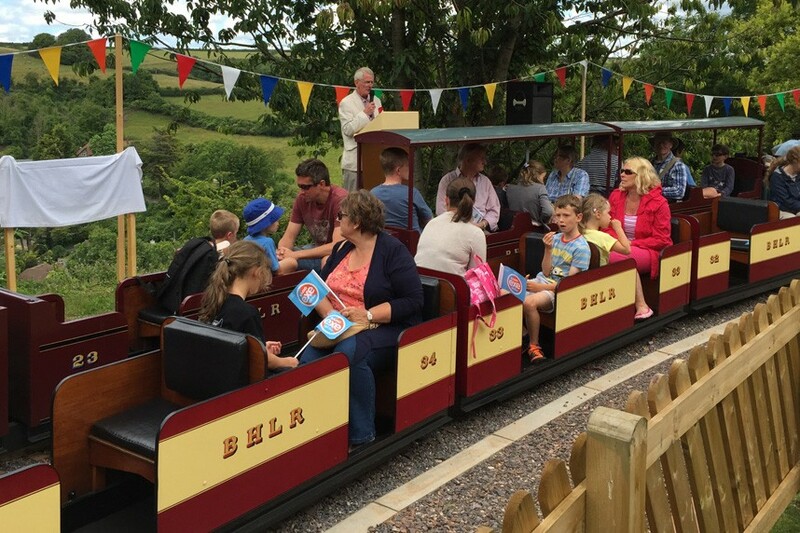 The BHLR also has in its fleet a growing number of purpose-built wagons. Given the location of the railway on a steeply sloping hillside, there is no direct road access to the lines, sheds, workshops and main station terminus. Therefore, materials regularly needed for use by the railway, such as coal, ballast, steel and any building materials are loaded onto wagons at a level crossing beyond the tunnel and brought in by train – just like the real thing years ago!